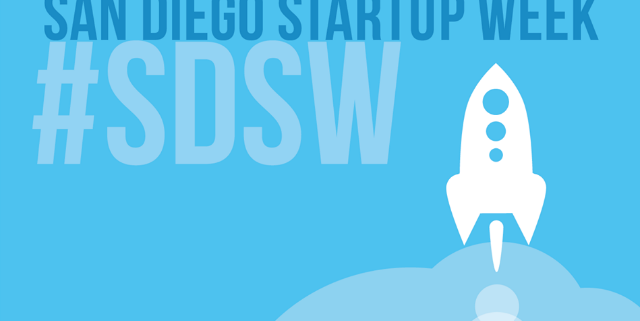 San Diego celebrated its start-up culture with the 5th annual San Diego Start-Up Week. Within a five-day span (June 19 to June 23), start-up owners and entrepreneurs attended fifteen tracks, more than 250 sessions, and more than 300 speakers. San Diego Start-Up Week attendees also had the chance to visit several of San Diego’s co-working spaces, including NEST CoWork. We were happy to welcome start-up workers during Start-Up Week, showing them the benefits of the First and Fir office building. Besides the (fully equipped) GRIND Coffee Shop and (awesome) free WiFi, NEST CoWork’s key benefits are its pricing structure and laid-back, creative vibe. “Our plans are flexible — keeping in mind the needs of our members; our pricing is all inclusive, so no surprises at the end of the month,” says Darin Andersen, NEST CoWork founder. Depending on what stage they are in from seed to growth, start-up companies need flexibility in pricing in order to adapt to an every-changing environment. With hot desk, dedicated desks, cubicles, and offices to choose from, entrepreneurs can expand or retract as needed. Plus, NEST CoWork offers phone booths, conference rooms, patio seating, café seating, and a roller coaster for one-on-one and group meetings. (OK, so there’s no roller coaster. But the patio seating gives you great views of planes landing at the airport!) 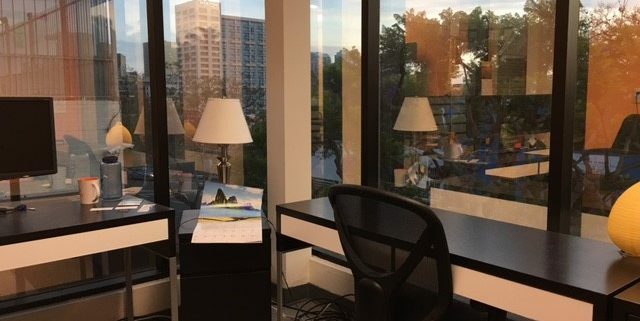 By selecting NEST CoWork as a home-base, start-up companies have access to a variety of work environments without the confines of a long lease. Plus, with free printing (and free brewed coffee), there are no surprise bills at the end of each month. San Diego Startup Week showcased access to the CyberTECH network as well as the many functions that members can take part in, including a Pitch Fest sponsored by Procopio and eSentire, a CyberTECH EiR mentorathon, and a Smart City Hackathon co-sponsored by CyberTECH, Cleantech San Diego, GE Current, Intel, and AT&T. Perhaps, equally important, NEST CoWork has a unique, techy vibe. Although you don’t have to a tech company to connect into the NEST environment, tech start-ups are the core of the NEST membership. Pitch nights, Meet-Ups, and member dinners give NEST its comfy, collaborative feel. By providing forums for formal and informal discussions, NEST members gain access to a knowledge base established by the companies/members just ahead on the start-up journey. 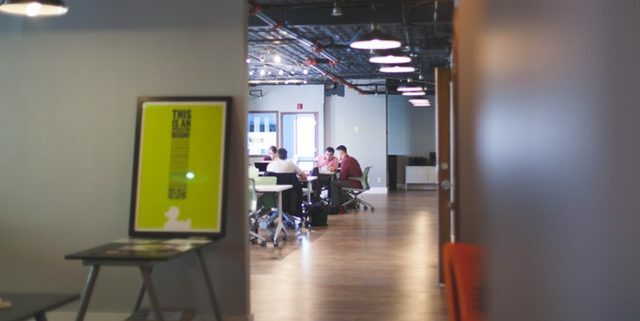 With some predicting a freelance workforce at 50% by 2020, co-working etiquette is quickly becoming a defining component for any co-working space. And etiquette isn’t just about how the members behave, but also about how the co-working management sets expectations and upholds those standards. From loud phone calls to garlic shrimp at lunch, workplace behavior is about to get a whole lot trickier. Let’s start with phone calls. With cell phone reception still far behind land line clarity, scream-talking is fairly commonplace. Plus, 95% of co-working members will be cell phone based. Phone booths are now standard for most co-working spaces, but they don’t solve all problems. For example, a quick phone call to a client can easily turn into an hour-long discussion. And if you need to be in front of a computer while talking, a phone booth or patio might not be a viable solution. Moreover, even those who occupy an office can be a bother if scream-talking with their door open. This is why strong, gentle management is critical. Co-working contracts need to specify some basic expectations. “All calls longer than 3 minutes need to take place behind closed doors.” Then, when someone is scream-talking in the open or in an open office, the on-site manager can quickly step in and relieve the frustrations that the other workers are feeling. Food is another major issue. As is slurping coffee. And chewing gum. Even someone clicking a pen or playing with their long hair can be enough of a distraction to drive hard-working members to find another location. The current generation of millennials isn’t known for their selfless lifestyle, and they will be the ones working freelance jobs at co-working offices. Managing people has always been the most difficult part of any business. So, managing a collection of people who have no employment ties to each other or the office space means having a well-worded contract and a strict manager to enforce the rules. http://www.nestcowork.io/wp-content/uploads/2017/06/cowork.jpg 800 1200 Kiran Modak http://nestcowork.io/wp-content/uploads/2017/02/nest_logo.png Kiran Modak2017-10-05 12:45:412017-11-02 06:59:08What's Good Etiquette in the CoWorking Space? In a video about overvalued companies, WeWork made the top of the list. The current valuation equation puts the value of each WeWork customer at more than $550,000. In other words, WeWork is operating as if each client will generate over half-a-million bucks for the company. That’s like every client paying $5,000 per month in rent for nine years. Realistically, that’s not going to happen. So why is WeWork riding so high? In short, trend. When the winds shift, WeWork will adapt. They likely have five and ten-year commercial leases, so if IBM moves its operations out of WeWork New York, WeWork will have to fill that vacancy with someone. And it all comes down to the little guy. At $250 or $300 per month, coworking spaces can quickly fill its vacancies with general and “hot desk” members. The real trend is not in coworking, it’s in the entrepreneurialism of the gig economy. It’s the American dream to be your own boss. The coworking companies are here to stay. They are becoming our second home – our oasis in a life of soccer practices, mean bosses, and in-law visits. All of those employees showing up for work at a WeWork coworking space are the future tenants for the company. And that is worth $5,000 per month. http://www.nestcowork.io/wp-content/uploads/2016/11/post-25.jpg 443 1030 Kiran Modak http://nestcowork.io/wp-content/uploads/2017/02/nest_logo.png Kiran Modak2017-10-05 12:35:062017-11-02 06:58:21Business Insider Proclaims WeWork is Tremendously Overvalued. Is it? Think about the American worker in the 1950s… or the Japanese worker in the 1980s… the workplace was a reliable haven of productivity. Sure, there must have been long hours, office politics, and noisy coworkers slurping soup at lunch, but the office was always there. Today, the vast majority of that reliability is gone. Layoffs, cutbacks, and outsourcing has become commonplace. 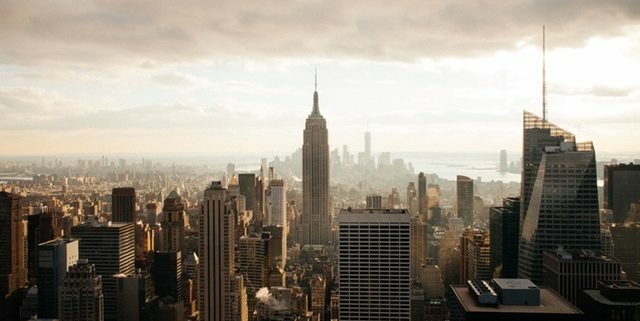 And even in a big city, finding a cushy replacement when you’ve been laid off from your Fortune 100 job isn’t easy. Plus, there was a time when you and your employer made a pact: you show up to work hard and the company wouldn’t fire you. Today, a bad supervisor can put you out on the street with a few well-crafted emails to HR. With today’s expensive lifestyle (where hors-oeuvres and a drink can cost $50), most of us need a side hustle. There are likely some mid-level executives flipping on their Uber app while they drive home from work to pick up some extra money for Christmas. And blogger-moms staying up late to get sponsored dinners for a date night with hubby. Thus, the coworking space becomes the new workplace anchor. It doesn’t matter if you get fired, laid-off, or quit. You keep going to the familiar coworking space, shifting your time and energy to the project at hand. Coworking spaces have become key for personal productivity. When your employer no longer sees you as a necessary asset, you simply flip the switch and do more work as an independent contractor. In fact, coworking spaces, along with the gig economy, are a tremendous threat to corporate productivity. Coworking offices have leveled the playing field, offering workers the chance to remain productive and happy regardless of where the work is coming from. And the more you are in a coworking space, the more you learn how to source and duplicate work as a contractor. Flexibility: While we don’t know the terms of the deal, it’s likely that WeWork is offering significantly more flexibility to IBM than a traditional commercial lease. In fact, co-working is based on flexibility. So if IBM has to move a department out of NYC or lay-off 200 workers, they aren’t stuck with the cost of an empty office. Talent: Young employees don’t want to be stuck in a dull, grey cubicle. And while those workers in their 40s might still tolerate the traditional office setting, the millennials simply won’t. They know that companies like Google and Uber have slick, comfortable working spaces. And if an employer can only offer bad coffee under fluorescent lights, the new and eager workers will go somewhere else. Productivity: Yes, co-working spaces like WeWork can seem like a distracting environment. But the environment is also comfortable. So instead of stopping at Starbucks before work, employees will show up to the co-working coffee bar and get settled faster. And if they like where they work, they are much, much (MUCH) more likely to stay an extra 20 minutes at the end of the day to finish a project. Even better – the kids like to come in with Mom or Dad on the weekend because the office is filled with couches and café tables. (Plus great WiFi for Netflix.) Think about productivity hours for a company like IBM. If everyone starts to average an additional 25 minutes of work per day, then the 600 people in the WeWork/IBM building are cranking out 250 more work hours per DAY. That’s like 31 free employees working for the company simply because the employees like lemon water and soft lighting. Co-working companies have begun a revolution. A century ago, businesses needed to eliminate harsh factory conditions and develop concepts like Lean Thinking to compete. And while the office cubicle of 1992 is hardly harsh, co-working is proving that desk-bound workers need an improved workplace to drive business forward.